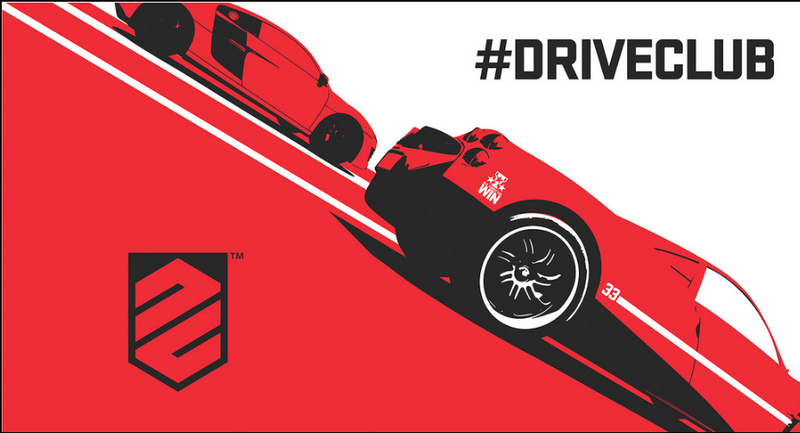 It’s no secret that Sony and Evolution Studios’ new PlayStation 4 racer Driveclub has gotten off to a rocky start. Server issues and a delay of the highly-anticipated PlayStation Plus version have really upset consumers—both those who purchased the full game and those who were eagerly-awaiting the free version of the game. While all of this is going on, several low-rating reviews have hit the Internet as well. The game currently has a 72 on Metacritic from professional review sites and a 5.9 from users. For the professional reviews, there are 36 positive, 17 mixed and one negative review. The real problem I see is with the user reviews. I think many of them are written by angry gamers who either are upset that the servers aren’t working or were waiting for the free version, but since it has been delayed, these gamers are bashing a game they haven’t even played. On the user side, there are 89 positive reviews, 10 mixed and 61 negative reviews as of this posting. The biggest trend I’m seeing is a contradiction between the comments and the score. In many of the reviews, the overall score (and even the individual score) is in the C to C- range despite the positive comments. Others criticize the game because of its visuals while saying the rest of the game is lacking. Perhaps the launch woes are weighing heavier on the reviewers than they should. It seems like most reviewers are giving the game harsher review scores because the game is having trouble connecting to the Internet. Don’t get it twisted, this is a full-fledged racing game. It has a single player with a career, single races, time trials and a challenge mode. It has customization, plenty of cars and plenty of tracks. And it’s online mode (when working) is amazing. Club creating, club joining, several races modes online, extensive social features. It’s all there. I get it though, it’s hard to review a game when it isn’t fully working. After all, the game is meant to focus mostly on online social interaction, but at the same time, a lot of games launch with server issues and the game’s score should not be affected by that. Maybe reviewers should have delayed their reviews? If the game had been completely delayed and missed its launch, the reviewers would have done this, so why not wait? Not to mention, so many of the reviewers are knocking the game for “not doing anything new”. I don’t recall a rule about every game being required to innovate. It’s a racing game; does it really need to reinvent the wheel? Oh, and what game doesn’t have a limited amount of content? Then there are those reviewers who maybe just don’t like racing games in general. After playing the game for four hours, I completely disagree with this reviewer. The game is responsive and smooth and it’s a lot of fun to play. Some users just had strange expectations. I’m not really sure what this person is on about, and why he or she expected the game to be anything like arcade racing series Project Gotham Racing (PGR) is beyond me, I just find it interesting he or she said the game feels too arcade and then went on to say he or she was expecting an arcade game. By the way, it doesn’t feel too arcade. It’s a nice blend of simulation and arcade, but neither is too dominate. It’s a game that sim racing fans will enjoy for its depth, but that is approachable by non-racing fans because of its arcade side. Lastly, there are those who are just angry that the game has had so many issues at launch, so they didn’t even give the game a fair chance. No modes? There are plenty. No cars? I count quite a few. DLC? I see no DLC available for purchase right now, and while the game does have a season pass program planned, what game doesn’t these days? Instead of bashing a game that, in all honestly wasn’t ready for launch, before we can completely try out all of its features, we here at Sac City Gamer are going to wait to review the game until the full array of features in the game is fully functional. As it is, I was able to get online for a three-race series. Unfortunately, the third race never happened as I was disconnected from the other players after the second race, but the races I did play were smooth and responsive – and a lot of fun. Simply put, my first impressions of the game are that it is a blast to play and that there is enough content here to make the game worth the price of admission. The sense of speed is tremendous and the graphics are stunning. It may not be a full-fledged, feature-packed single player experience that can compete with the likes of Forza, but you have to remember, the game was designed as an online racer first and a single player game second. Not only that, Forza has been around a long time and this is a new IP. Our full review will be available in the next week or so, but until then I’d suggest renting the game if you’re a racing game enthusiast like me. If not, then you should probably wait for the PS Plus version to make a decision. The bottom line is that this game should not be skipped. Don’t take the reviews too seriously (even ours when it comes out). Like with any game, play it first before passing judgment.